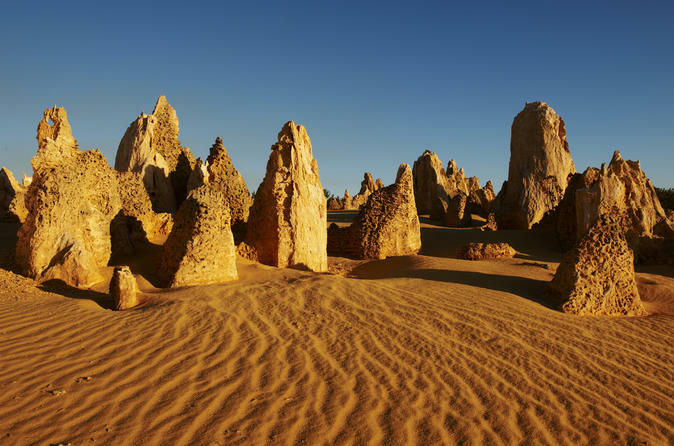 Discover the exquisite beauty of the Pinnacles on a full-day tour from Perth. Travel along Australia’s Coral Coast to Nambung National Park, located near Cervantes and Jurien Bay. Head into the park to see the Pinnacles — ancient limestone pillars that stand tall in the desert landscape. Continue to Yanchep National Park where you can take a walk around the lake, look for kangaroos and koalas, and go underground for a guided tour of Crystal Cave. Your tour includes informative commentary from your guide, morning tea, and lunch.